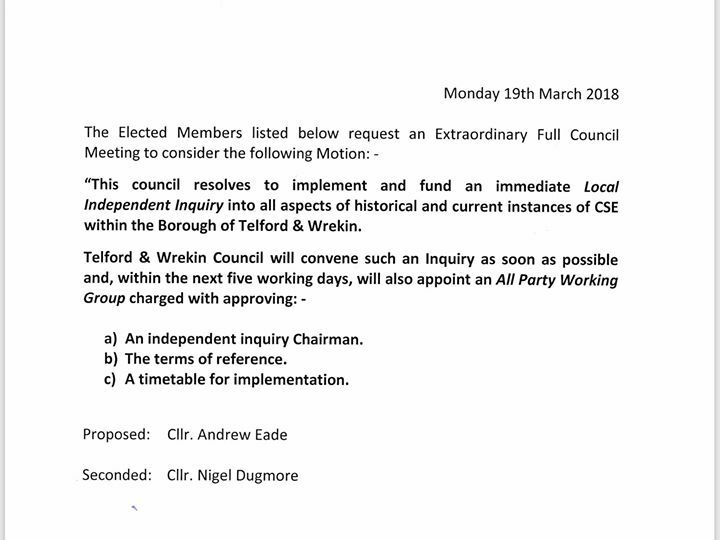 Conservative Councillors Andrew Eade and Nigel Dugmore have tabled a motion calling on the current administration at Telford & Wrekin Council to fund and establish an independent inquiry with immediate effect. Is this a political gimmick? The Council has had £100 million cut since the Tories got into power and are losing another £30 million. 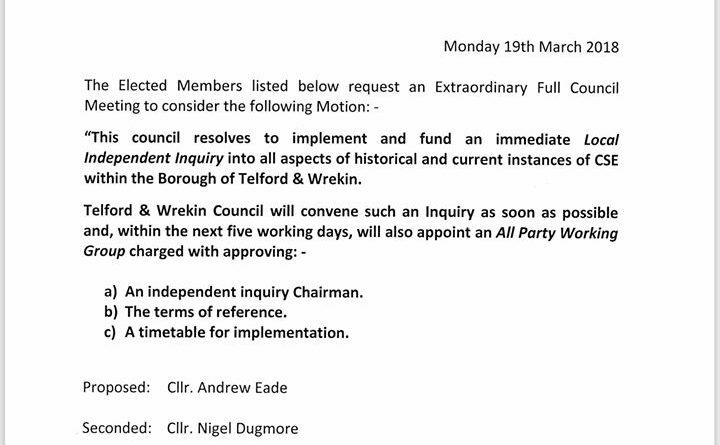 These Tory Councillors know full well there isn’t any money to fund such an enquiry. There must be a full public inquiry and the facts should be made public without any bias or sugar coating! I don’t disagree with that, but this is just the Conservatives taking advantage of a very big issue to further their own ends. Any such enquiry would have to be funded at a National level, as there just isn’t the money locally to do it.